From the Givenchy catwalk to Anna Wintour’s wardrobe, red and black make a formidable fashion pairing this season. 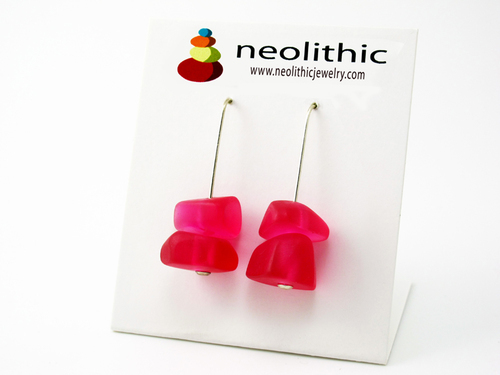 This pair of black and red modern resin earrings would have fitted right in. Even British actress Keira Knightley stepped out in a red and black ensemble. Leather coats, doctor bags and court shoes were all treated to a dose of red and black. Neat collars and figure-hugging dresses were also shown. For ultimate impact, models were sporting vivid red lips. Treat your monochrome to a touch of red! It’s the perfect way to liven up your outfit. 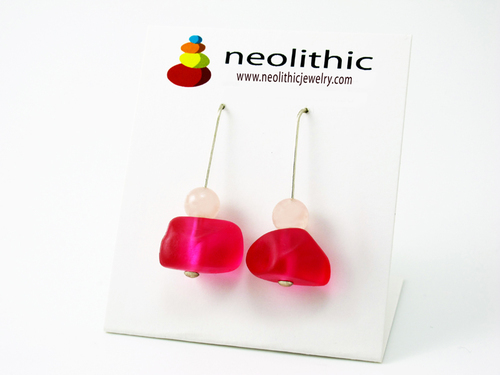 Black leather drainpipe jeans, a simple red V-neck sweater and these gorgeous black and red resin earrings make a natty sartorial marriage. Each piece is meticulously sanded to make them super smooth. It’s the tiniest details that make the biggest difference! 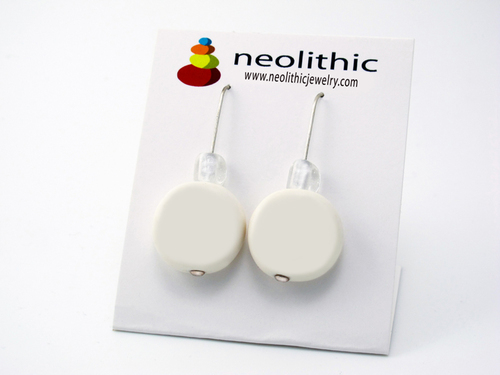 – sterling silver earring hooksNote: All Neolithic products are hand-crafted, as such, slight variations in color or pattern may occur.